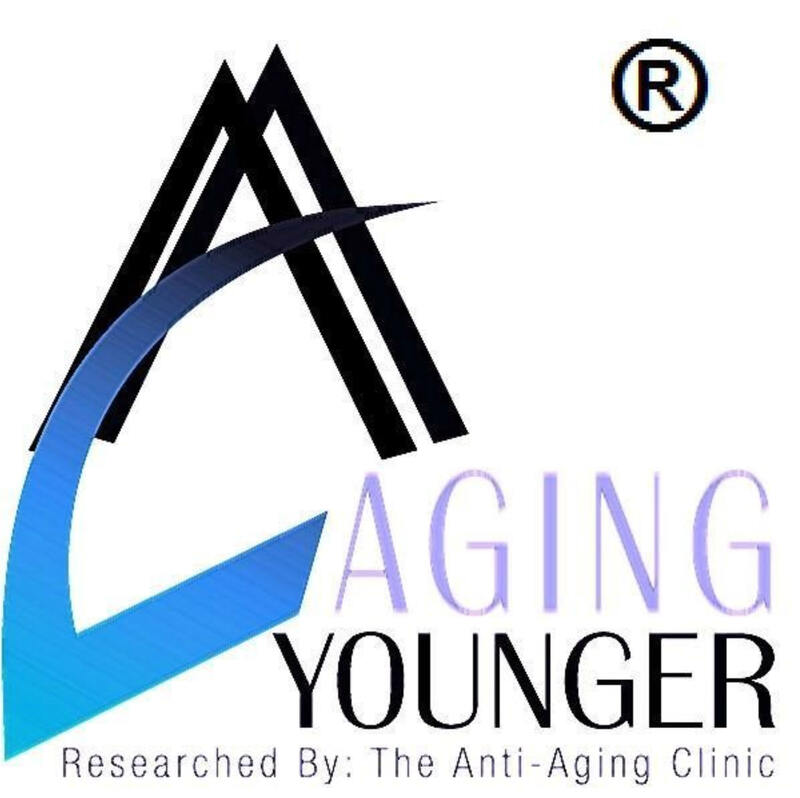 Researched by The Anti-Aging Clinic "Aging Younger ®"
Collagen is the main protein of connective tissue in animals and the most abundant protein in mammals, making up about 25% of the total protein content. It is one of the long, fibrous structural proteins whose functions are quite different from those of globular proteins such as enzymes; tough bundles of collagen called collagen fibers are a major component of the extra-cellular matrix that supports most tissues and gives cells structure from the outside, but collagen is also found inside certain cells. Collagen has great tensile strength, and is the main component of cartilage, ligaments, tendons, bone and teeth. Along with soft keratin, it is responsible for skin strength and elasticity, and its degradation leads to wrinkles that accompany aging. It strengthens blood vessels and plays a role in tissue development. It is present in the cornea and lens of the eye in crystalline form. It is also used in cosmetic surgery and burns surgery. Keratins are a family of fibrous structural proteins; tough and insoluble, they form peptide bonds to adjacent protein chains, facilitating their close alignment of the sulfur-containing amino acid cysteine, required for the disulfide bridges that confer additional strength and rigidity by permanent, thermally-stable crosslinking — a role sulfur bridges also play in vulcanized rubber. Cysteine is a naturally occurring, sulpfur-containing amino acid that is found in most proteins, although only in small quantities. Cysteine is unique amongst the twenty natural amino acids as it contains a thiol group. Thiol groups can undergo oxidation/reduction (redox) reactions; when cysteine is oxidised it forms cystine, which contains a disulfide bond. This reaction is reversible: as reduction of this disulphide bond regenerates two cysteine molecules. The disulphide bonds of cystine are crucial to defining the structures of many proteins. Cysteine is often involved in electron-transfer reactions, and help the enzyme catalyse its reaction. Cysteine is also part of the antioxidant glutathione. N-acetyl-L-cysteine (NAC) is a form of cysteine where an acetyl group is attached to cysteine's sulphur atom, and is sold as a dietary supplement. Cysteine is named after cystine, which comes from the Greek word kustis meaning bladder − cystine was first isolated from kidney stones. As cysteine contains a sulphydryl group, it can undergo redox reactions. Redox reactions include all chemical processes in which atoms have their oxidation number (oxidation state) changed. This can be a simple redox process, such as the oxidation of carbon to yield carbon dioxide, it could be the reduction of carbon by hydrogen to yield methane (CH4), or a complex process such as the oxidation of sugar in the human body, through a series of very complex electron transfer processes. However, these descriptions (though sufficient for many purposes) are not truly correct. Oxidation and reduction properly refer to a change in oxidation number — the actual transfer of electrons may never occur. Thus, oxidation is better defined as an increase in oxidation number, and reduction as a decrease in oxidation number. In practice, the transfer of electrons will always cause a change in oxidation number, but there are many reactions which are classed as "redox" even though no electron transfer occurs (such as those involving covalent bonds). Oxidation of cysteine can produce a disulfide bond with another thiol, or further oxidation can produce sulfonic acids. The cysteine thiol group is also a nucleophile and can undergo addition and substitution reactions. The thiol group also has a high affinity for heavy metals and proteins containg cysteine will bind metals such as mercury, lead and cadmium tightly. Collagen has an unusual amino acid composition and sequence. Glycine (Gly) is found at almost every third residue, and collagen contains large amounts of proline, (Pro) — as well as two uncommon derivative amino acids not directly inserted during translation of mRNA: hydroxyproline (Hyp) and hydroxylysine. Prolines and lysines at specific locations relative to glycine are modified post-translationally by different enzymes, both of which require vitamin C as a cofactor. Depending on the type of collagen, varying numbers of hydroxylysines have disaccharides attached to them. Outside the cell, registration peptides are cleaved and tropocollagen is formed by procollagen peptidase. Collagen is attached to cell membranes via several types of protein, including fibronectin and integrin. Vitamin C deficiency causes scurvy, a serious and painful disease in which defective collagen prevents the formation of strong connective tissue. Gums deteriorate and bleed, with loss of teeth; skin discolors, and wounds do not heal. Prior to the eighteenth century, this condition was notorious among long duration military, particularly naval, expeditions during which participants were deprived of foods containing Vitamin C. In the human body, a malfunction of the immune system, called an autoimmune disease, results in an immune response in which healthy collagen fibers are systematically destroyed with inflammation of surrounding tissues. The resulting disease processes are called Lupus erythematosus, and rheumatoid arthritis, or collagen tissue disorders. (See references below). The tropocollagen or "collagen molecule" subunit is a rod about 300 nm long and 1.5 nm in diameter, made up of three polypeptide strands, each of which is a left-handed helix, not to be confused with the commonly occurring alpha helix, which is right-handed. These three left-handed helices are twisted together into a right-handed coiled coil, a triple helix, a cooperative quaternary structure stabilized by numerous hydrogen bonds. Tropocollagen subunits spontaneously self-assemble, with regularly staggered ends, into even larger arrays in the extracellular spaces of tissues. There is some covalent crosslinking within the triple helices, and a variable amount of covalent crosslinking between tropocollagen helices, to form the different types of collagen found in different mature tissues — similar to the situation found with the α-keratins in hair. Collagen's insolubility was a barrier to study until it was found that tropocollagen from young animals can be extracted because it is not yet fully crosslinked. Collagen fibrils are collagen molecules packed into an organized overlapping bundle. Collagen fibers are bundles of fibrils. A distinctive feature of collagen is the regular arrangement of amino acids in each of the three chains of these collagen subunits. The sequence often follows the pattern Gly-X-Pro or Gly-X-Hyp, where X may be any of various other amino acid residues. Gly-Pro-Hyp occurs frequently. This kind of regular repetition and high glycine content is found in only a few other fibrous proteins, such as silk fibroin. 75-80% of silk is (approximately) -Gly-Ala-Gly-Ala- with 10% serine — and elastin is rich in glycine, proline, and alanine (Ala), whose side group is a small, inert methyl. Such high glycine and regular repetitions are never found in globular proteins. Chemically-reactive side groups are not needed in structural proteins as they are in enzymes and transport proteins. The high content of Pro and Hyp rings, with their geometrically constrained carboxyl and (secondary) amino groups, accounts for the tendency of the individual polypeptide strands to form left-handed helices spontaneously, without any intrachain hydrogen bonding. The triple helix tightens under tension, resisting stretching, making collagen inextensible. Because glycine is the smallest amino acid, it plays a unique role in fibrous structural proteins. In collagen, Gly is required at every third position because the assembly of the triple helix puts this residue at the interior (axis) of the helix, where there is no space for a larger side group than glycine’s single hydrogen atom. For the same reason, the rings of the Pro and Hyp must point outward. These two amino acids thermally stabilize the triple helix — Hyp even more so than Pro — and less of them is required in animals such as fish, whose body temperatures are low. In bone, entire collagen triple helices lie in a parallel, staggered array. 40 nm gaps between the ends of the tropocollagen subunits probably serve as nucleation sites for the deposition of long, hard, fine crystals of the mineral component, which is (approximately) hydroxyapatite, Ca5(PO4)3(OH), with some phosphate. It is in this way that certain kinds of cartilage turn into bone. Collagen gives bone its elasticity and contributes to fracture resistance. If collagen is partially hydrolyzed, the three tropocollagen strands separate into globular, random coils, producing gelatin, which is used in many foods, including flavored gelatin desserts. Besides food, gelatin has been used in pharmaceutical, cosmetic, and photography industries []. Nutritionally, collagen and gelatin are considered poor quality protein because they lack adequate amounts of some of the essential amino acids. Some collagen based dietary supplements are claimed to improve skin and fingernail quality and aid joint health, although mainstream scientific research does not support these claims. Collagen means "glue producer" (kolla is Greek for glue), derived from the early process of boiling the skin and sinews of horses and other animals to obtain glue. Collagen adhesive was used by Egyptians about 4,000 years ago, and Native Americans used it in bows about 1,500 years ago. The oldest glue in the world, carbon dated as more than 8,000 years old, was found to be collagen — used as a protective lining on rope baskets and embroidered fabrics, and to hold utensils together; also in crisscross decorations on human skulls. Collagen normally converts to gelatin, but survived due to the dry conditions. Animal glues are thermoplastic, softening again upon reheating, and so they are still used in making musical instruments such as fine violins and guitars, which may have to be reopened for repairs — an application incompatible with tough, synthetic plastic adhesives, which are permanent. Animal sinews and skins, including leather, have been used to make useful articles for millennia. alternatives using the patient's own fat or hyaluronic acid are readily available. Collagens are still employed in the construction of artificial skin substitutes used in the management of severe burns. These collagens may be bovine or porcine and are used in combination with silicones, glycosaminoglycans, fibroblasts, growth factors and other substances. Collagen is also sold commercially as a joint mobility supplement. This is the most abundant collagen of the human body. It is present in scar tissue, the end product when tissue heals by repair. It is found in tendons, the endomysium of myofibrils and the organic part of bone. This is the collagen of granulation tissue, and is produced quickly by young fibroblasts before the tougher type I collagen is synthesized. Reticular fiber. transmembrane collagen, interacts with integrin a1b1, fibronectin and components of basment membranes like nidogen and perlecan. Collagen diseases commonly arise from genetic defects that affect the biosynthesis, assembly, postranslational modification, secretion, or other processes in the normal production of collagen. The most common genetic disease associated with collagen defects is osteogenesis imperfecta or "brittle bone disease". This results from decreased quantity or quality of collagen I in the bone. This type of collagen may also be affected by certain types of Ehlers-Danlos_Syndrome. Deficiencies in other collagen types have been linked to other diseases, including the congenital muscular dystrophies. For example, Ulrich myopathy and Bethlam myopathy are caused by mutations in collagen VI. Mutations to genes coding for collagen type IV lead to Alport syndrome. Also notable are cartilage pathologies known as chondrodysplasia. Collagen type VII disease causes a form of epidermolysis bullosa. In histology, collagen is brightly eosinophilic (pink) in standard H&E slides. The dye methyl violet may be used to stain the collagen in tissue samples.  The dye methyl blue can also be used to stain collagen and immunohistochemical stains are available if required. The best stain for use in differentiating collagen from other fibers is Masson's Trichrome stain.